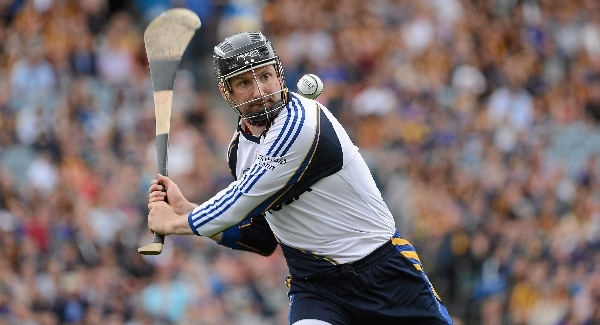 A couple of weeks ago, against Cork in Páirc Uí Rinn in the opening round of the Allianz Hurling League, Brendan Cummins began his 19th competitive season in the Tipperary goalkeeper’s jersey, the most onerous position in any sport. It almost didn’t happen. In the All-Ireland semi-final last August he was beaten four times as Kilkenny romped to a record win over Tipperary, 4-24 to 1-15. On his darkest day in the blue and gold it tempted thoughts of retirement. “I thought after the game that could be the end of it. I even had a look around the place as I left, said goodbye to the stewards and all the fellas I was good friends with over the years,” he said. “But I had always said I’d like to give the jersey back in better condition than when I got it and that, obviously, wasn’t the case leaving Croke Park that day. “It really hurt. It really smarted. I’ll never forget it to be honest. This team had won four of the previous five Munster finals and some of those comfortably enough, so we have a good generation of players. To see them go through that, to see the thing just falling asunder on the day. Several months on and the wounds are as raw as they were in August. And that was why Brendan is back for another season, looking to extend his record 71 SHC appearances. He’s a goalkeeper that doesn’t turn his back but stands tall, confronts. This Sunday, Tipperary again meet Kilkenny in the league and if anything the problems from that August defeat have been compounded with big losses in their last two outings, against Clare in the Waterford Crystal final and Cork in that league opener. Whatever about the Clare loss, the beating from Cork really hurt. “It was a long trip back on the bus,” he said. “[It was] hard to sleep on Saturday night after being beaten by that much [0-26 to 1-11]. But your thoughts are more solution-based than worrying about the hole you’re in. It’s how you’re going to get out of it. New manager Eamon O’Shea, Brendan believes, is exactly the man to help turn things round and his appointment was another major reason why he is back for another season. “Having worked with Eamonn before [coach 2008-2010] he definitely made me a way, way, way better player than I thought I ever could be. This Sunday then, against the old enemy, Brendan expects a response to all the recent adversity.